Close up of image 'lnwrmg2819' showing part of Marston Green goods yard with several open mineral wagons and huts in view. The lineside huts are thought to be used by Permanent Way gang who were responsible for a given section of track at Marston Green. They would check the points, the camber of the track and the tightness of the bolts holding the rails and fishplates. The other huts seen erected along Elmdon Lane but facing into the goods yard would have belonged to local coal merchants who would take delivery of coal at the yard, weigh the coal into one hundred weight (cwt) bags and then delivered to local households. 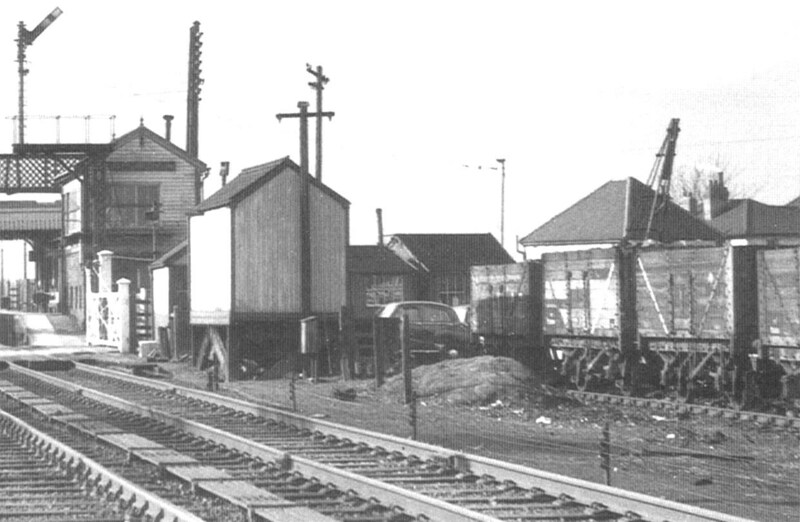 The wagons on the left are of the seven plank design, a common wagon used to both transport coal and other minerals as well as being used to transport general goods.